Hey, What’s going on guys? my names AKASH and today we are gonna Root Xiaomi Mi5 without PC! But before we get into the rooting process I want to warn you that Rooting will break your warranty if your device comes into one, Making it impossible for you to repair/replace it from the manufacturer. I want to make sure that you’re well aware of what you’re doing so here’s 5 risks of rooting your phone read it before you continue I highly recommend it. Xiaomi Mi 5 smartphone was launched in February 2016. The phone comes with a 5.15-inch touchscreen display with a resolution of 1080 pixels by 1920 pixels at a PPI of 428 pixels per inch. Xiaomi Mi 5 price in India starts from Rs. 22999. The Xiaomi Mi 5 is powered by 1.3GHz quad-core Qualcomm Snapdragon 820 processor and it comes with 3GB of RAM. The phone packs 32GB of internal storage cannot be expanded. As far as the cameras are concerned, the Xiaomi Mi 5 packs a 16-megapixel primary camera on the rear and a 4-megapixel front shooter for selfies. The Xiaomi Mi 5 runs Android 6.0 and is powered by a 3000mAh non-removable battery. It measures 144.50 x 69.20 x 7.25 (height x width x thickness) and weighs 129.00 grams. The Xiaomi Mi 5 is a dual SIM (GSM and GSM) smartphone that accepts Nano-SIM and Nano-SIM. Connectivity options include Wi-Fi, GPS, Bluetooth, NFC, Infrared, USB OTG, 3G and 4G (with support for Band 40 used by some LTE networks in India). Sensors on the phone include Compass Magnetometer, Proximity sensor, Accelerometer, Ambient light sensor, Gyroscope and Barometer. Normally you’ll see the obvious rooting methods to root any phone here but because the Mi Max’s chipset is a bit unique we’ll try to root it with the “Other” method or you can call it the “Official” method. So let’s Try it out! Root Xiaomi Mi5 Using “Xiaomi Rooting App”. Alright, so what could be better than rooting a “Xiaomi phone” from a “Xiaomi Rooting App” right?? I mean the name implies that the app is specifically made to root a Xiaomi phone! Make sense. Alright, so there are some things to do in advanced before the rooting process. Enable Unknown sources from settings. That’s It onto the process! 1: Install the Xiaomi Rooting App just like this. 2: Then after the installing is done press “Open” Like this. 3: After that, you’ll be greeted by this screen. 4: Just swipe to the left you really don’t need to understand what’s written on the screen although I have translated some important parts. 5: Tap on the “Big white” Button to continue to the app which will root your phone. 6: After you are in the main app the screen would be similar to the one above don’t worry the meaning of those words are “Searching for root compatibility” it will take a minute or so for it to search…. 7: After the search is finished this screen should appear don’t worry about that “BIG WARNING” sign it’s saying “Warning root access is unavailable” Which is obvious because we are still rooting…. Tap on the “Green button” to root after that it will take some time and then ultimately when the rooting is done (100%) you can exit the app. Now I’m glad to tell you that congrats! You have just rooted your Xiaomi Xiaomi Mi5 Although it’s still not perfectly rooted you still haven’t installed any root access management app which is what we are going to do now! I recommend KingUser simply because it’s very easy to install and doesn’t need any zip flashes from the recovery in order to work. 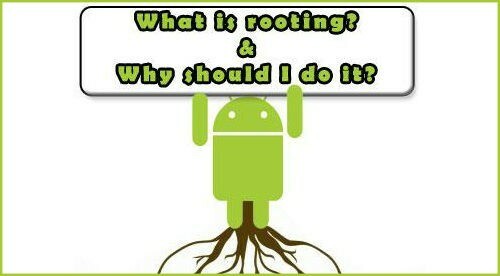 And if you want you can remove it & install any other Root managing app. 2: Install the Kinguser app just and then open it like this. 3: Congrats you have installed “Kinguser” on your phone! Now your phone is fully rooted! Now go to the main control panel of kingroot and tap on “Root Authorization” just like this. 4: In there you can give permissions to the apps you want to allow root access or not. The app will also ask for root authorization when app requests root access. 1: Download and install “root checker”. Root Checker app – DOWNLOAD. Xiaomi Rooting App – DOWNLOAD.